Golf enthusiasts can enjoy several excellent courses in the region. The beautiful and peaceful landscapes, and mild climate make playing golf here a real pleasure. Our personal recommendation is Villeneuve Golf & Country Club. This is a superb and challenging 18 hole golf course, located between Villeneuve and Cancon, just 35 minutes drive. This par 72 undulating course offers spectacular views with a backdrop of plum trees and orchards. 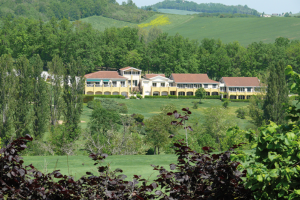 A little further afield is the impressive 27 hole Chateau des Vigiers golf course. 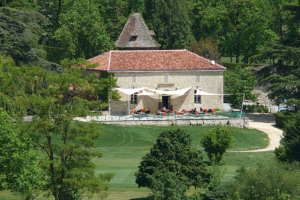 Golf de la Forge in Belves is the closest course, just 25 minutes away. This small and friendly 9-hole course, which also includes a driving range, training zone, putting green, bar and equipment rental. 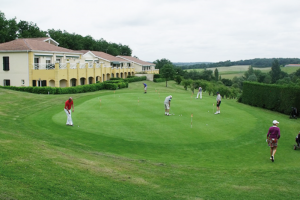 Just 30 minutes drive is the 18-hole Lolivarie Golf Club at St Germain de Belves. This is a picturesque course set in a wooded valley, close to the Dordogne River. Amenities include: Driving range, putting green, pitching green, practice bunker, clubhouse and equipment rental. It’s advisable to book in advance, let us help you with your reservation. Further afield is Golf de Barthe at Tombeboeuf (45 mins). This is an English owned 9 hole course, with a practice range and green, clubhouse, which is great for snack meals & drinks throughout the day.